The Oneida, meaning "People of the Standing Stone", are a Native American people who majority reside just to the west of Green Bay, Wisconsin. 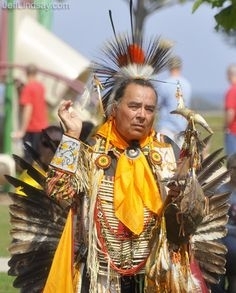 They are also a First Nations people residing in Ontario, Canada. They speak Oneida. In fact, they are active at preserving their language. Moreover, they preserve audio and visual recordings. Oneida language is a vital part of their existence and is taught using different teaching methods to meet different learning styles. They have a matrilineal kinship system, and children are considered to be born into the mother's clan, through which descent and inheritance passes. This system originates in their creation story. They people with three clans: the Wolf, Turtle or Bear clans. Very few Oneida are evangelical Christians. The majority identify with either non-evangelical Christian groups, Longhouse, Handsome Lake, other ethnic religion. For more information, see the Oneida Nation website. Pray God will work via dreams and other means to reveal Jesus Christ as the way, the truth, and life for all peoples. Pray evangelical Oneida people will boldly and unashamedly share via deeds and words the message of Christ.